Elska is back with another video from her debut album, Middle of Nowhere. “Midnight Sun” is all about the natural phenomenon that occurs during the summertime in arctic places like Iceland. The live action video was shot on location, which means that all the gorgeous colors surrounding Elska are truly how they appear at midnight. I particularly love how the midnight sun casts a golden glow on her face. Simply gorgeous. Middle of Nowhere is the creation of Shelley Wollert and producer Allen Farmelo. It is centered around a character named Elska, a modern pioneer living on an arctic island with her friends The Goobler, Arctic Fox, Winter Bear and The Nunni. There’s even a colony of lost socks! 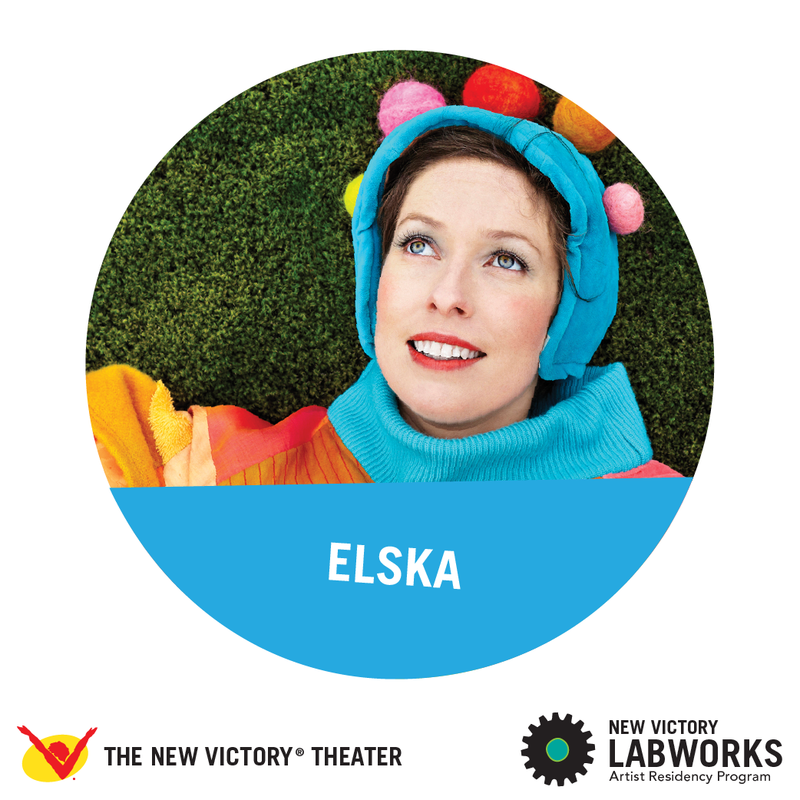 Recently awarded a Silver Medal by Parents’ Choice and a 2012 NAPPA Honor (National Parenting Publication Awards) for Middle of Nowhere, the music of Elska invites children on an adventure into an imaginary world full of color and wonder. And while Shelley and Allen have been busy working hard on the release and videos, they took some time to talk with me about the creation of Elska, the production of Middle of Nowhere, Iceland and how they hope to inspire young, creative minds. KCG: We love your album and I’m so glad you’re getting positive reviews. It’s definitely a unique thing in the kindie arena. You guys have really put some work into creating a whole story here. Shelley: Yeah, it’s a really exciting time and I’m glad that you’re enjoying it. You know, we’ve been working on this project for a little bit over two years and it’s so exciting now to be able to walk out of the studio and be able to hear it with the kids, see that it’s coming to life and people are getting it and enjoying it. KCG: Shelley, how did you come up with the character of Elska and where does her name come from? Shelley: Elska means “to love” in Icelandic and the whole project was inspired by a trip that Allen and I took to Iceland together. Before that trip, we had begun writing children’s music together and it was pretty standard stuff. Then, when we took that trip to Iceland, everything changed. Our imagination was kind of ignited by this very unique place. It just really rebooted us, like pressing the button on a computer. I decided, with Allen, to create this character that had an island that was a special safe place, that was creative, that was newly formed, as any volcanic island is, and a place that was just filled with wonder. Actually, when we took our first plane trip to Iceland there was the word “Elska” printed on the back of the pillow that Icelandic Air gave us with the definition “Elska means ‘to love. '” So we had been throwing around these ideas and looking up on the internet for Icelandic words and that came back to us. It just seems like the perfect word for this character. KCG: That’s a really beautiful story. Allen: Yeah, we were actually trying to name the island at first and we called it The Island of Elska, like “The Island of Love.” And then the character didn’t have a name. Shelley: It was going to be Shelley or my middle name, which is Kay. Allen: Then one day I just said, “I think you should be Elska.” It took us a while to get that clarity, but we eventually got there. KCG: How do you channel Elska? It seems like you really need to know that part of yourself in writing, videos and live shows. Shelley: It’s very liberating to be in a place that’s so fun and creative. I’m so glad that I don’t have to be Shelley on stage. It’s far more interesting to walk into somebody else’s clothes and get into the origins of this character; what she’s like and what her history was. To play this modern pioneer who sees the most amazing things you could ever imagine is just a real privilege. Even though I might not ever communicate it during a show, it helps me really appreciate what I’m doing and what makes these characters and these songs so special to her. It really has been fully developed like any other role I’ve ever played on stage. It’s so much fun. I mean, who doesn’t want to hang out with The Goobler? Allen: It’s been amazing to watch Shelley put Elska into the third person. I remember it happened in a recording session where Shelley said “Oh, I don’t think she would sing that melody” and I’m looking around thinking “she who?” “Oh, right, Elska.” And it freed me up as a producer, as well, to have this character who we were there to support and understand and develop all at once. At some point, Elska was very real and started to tell us what to do, which is an interesting shift in the creative process. I think when you know you’ve got something good and something alive, then it has its own logic and it tells you what to do instead of you creating it all the time. KCG: This whole story is very interesting to me. How did you come up with the idea to make The Goobler very green and environmentally conscious? Allen: Well, the environmentalist angle is actually throughout the island if you take a closer look at it. We don’t want to be heavy-handed and preachy about anything like that, so we have not made it overt. But, Iceland itself is an incredibly environmentally conscious place. They are the one place in the world which is aiming to get off fossil fuels very soon. They have an incredible geothermal resource and they are incredible preservationists. 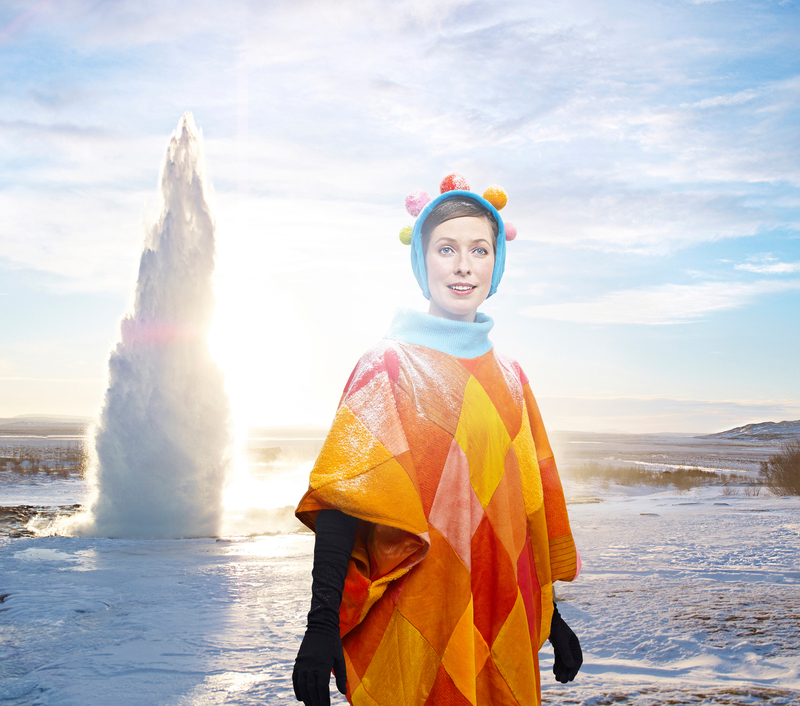 Many of the musicians and artists there are engaged in helping preserve Iceland from too much development. For example, Valgeir Sigurðsson, who mastered the record, wrote the soundtrack to a movie called Dreamland which is a documentary about saving a whole vast region of Iceland from hydro-electric development. So — being in Iceland is kind of like getting an education in what it is to be environmentally forward thinking and we built some of those features into the island [of Elska] itself. We have The Elska Express, which is geothermally powered. It’s a silent train, there’s no engine chugging along; it’s powered by steam that comes from the Earth. You have to solve problems when you live on an arctic island, and so we thought where does Elska’s food come from? Which led to us thinking well, the Goobler has a greenhouse and he knows how to do that. And there are other characters like The Nunni, who’s that little guy with one eye. He doesn’t have a song about him yet, but he’s an engineer who comes up with alot of the solutions; like the train and he built The Goobler’s greenhouse. So there’s this sort of technology and environmental angle built into a lot of it. We’re not sure how far we’ll take that, but it’s there. KCG: When you were creating Elska and the characters for Elska, did you already have this written out or did it sort of flow once you visited Iceland and decided to pursue this? Allen: It’s probably the most non-linear process ever. Shelley: Yeah, it wasn’t like a coup de force where you get struck by lightening and everything gets put in place. It was the process of evolution. Just like the music, we revised and revised and revised and we pushed boundaries. We pushed story lines and said “Oh gosh, what are these socks doing?” and we kept on pushing the uniqueness of it. They don’t just live together they make art together, they rearrange themselves into giant pictures. We just kept on sort of developing the story and revising it over time. Allen: The socks are an interesting point, because we actually came to a real struggle while Shelley and I were working on that song. We had the idea of a land of lost socks. We had no idea what they did and they kind of needed to do something — they couldn’t just be there. It wasn’t a pile of socks, it was a colony. I remember being in the studio and I [said] “What do they do, Shelley? What do they do?” and Shelley just blurted out “They’re like pixels! They make pictures!” and I said, “It’s stunning!” That was an idea that we had been trying to hatch for six months or more, and we had studio time booked and had to have an answer. So, everything in this project has been like Shelley said; about constant revision and then “aha” moments. We had just about every type of creative process fused together in the creation of this. It’s been more than anything, just a ton of work, wouldn’t you say? Shelley: Exactly. What’s so exciting, now, is that because we’ve spent so much time building a foundation in character development, it’s so much fun to now expand these stories as we go forward — through different forms of media. We’ll be able to do a story about the train and how it works. So, from here, now that we’ve done the bricklaying, we can fill out the story to our fans and they can learn more and more about the characters as we move forward through more albums and more videos. Allen: And you can’t go backwards once it’s released to the public. KCG: Did you have any experience with children’s music or anything in the children’s genre before? What was your approach in deciding to get into this area of music? Allen: Not much, aside from my upbringing, which was being drenched in children’s music. I drew on that as much as anything. I also had very particular tastes as a child in music. I was totally into Switched-On Bach which was kind of aimed at children, not entirely, but it really was a hit with kids. They use Moog synthesizers and we use a Moog synthesizer on this record quite a bit. So, the more I look back on it, I’m seeing a lot of my influences as producer of this record, probably were coming from my sensibilities growing up. I listened to The Beatles quite a bit so that influenced some of the pop writing and production clarity that we went for. I also think that I had the good fortune of not knowing too much about the current children’s music market. We made it in a little bit of a vacuum, to be honest, and we just tried to stay really true to our hearts. As much as we were making it for children, we were really making it for ourselves, wouldn’t you say? Shelley: Absolutely. I taught children in my 20’s and taught musical theater, improv and fairytale theater and so I’ve had a lot of experience singing and performing for kids but never the opportunity to, as Allen said, kind of sit in a vacuum and completely imagine another world for that period of time and come out the other side. So I think we really just tried to stay true to ourselves during the process. KCG: You could have just created a set of songs without characters. Shelley: We had a pivotal moment in this coffee shop where Allen said to me “Look you can either be the girl behind the guitar or you can do your acting, your music, your drawing…” And I’m also an illustrator. So he said “Why don’t you do everything, just do it all! Wouldn’t that be a great choice?” And I thought, “YES!” So this has become my dream project. I get to illustrate, I get to design characters, I get to sing and dance and I get to write and play music. I also get to create with Allen and I get to be in character acting. So for me it was coming up with the dream job and then just going for it. Allen: I felt like, as producer, I was tapping into one dimension of this multi-dimensional person, Shelley. For example, Shelley had a dream about The Goobler and then she drew it and I walked out of the studio and said “What if that guy was named The Goobler?” I have no idea where that came from. I think once you have one character, you just start to have more characters and they just grew from there. We just kept coming up with things. The next thing was Winter Bear — then the Arctic Fox came way late in the game. I didn’t know there was a fox until we were almost done with the record. Shelley said “I wrote a new song. It’s called “Arctic Fox” and my jaw dropped and I said, “well that has to be on the record.” The fox has become such a central character even though he’s quite elusive and doesn’t say much. So [the characters] came from dreams, they came from a song somebody wrote, etc. KCG: So many successes are built on dreams it seems. Allen: I think dreams are a way that adults can tap into their most free imagination. We don’t always get to use it the way a child is encouraged to use it –so I think sometimes our dreams are that place where we can play again. KCG: When my daughter can bring to life any object, there is safety to it and freedom in building a story and Middle of Nowhere taps into that creative place for her. The music has this innocence to it. It’s very light and there’s not a whole lot of instruments. Allen: Whenever I make a record, no matter who it’s with, I try to boil it down to what I call a guiding principle. It’s usually a phrase that we can return to to remember where we came from. The guiding principle for this record was “playful minimalism” — so when we had choices to make creatively, we would return to that as our guiding principle. Everything from a drum beat, we would try and find the simplest version, to a bass line, to a melody, to the logo, to Elska’s name, to anything that could be stripped down to its most minimalist and yet most playful state. I think that maybe what you’re hearing in the music a bit is a reflection of that guiding principle. That playfulness and that minimalism does give it a nice clarity and innocence. KCG: Do you have a target age range in mind for your audience? Shelley: We sort of think it’s for a lot of different ages. We haven’t set a target in our minds — and we’re finding kids very young are liking this and we’re also finding fans that are six, seven, eight years old. We’ve had some adults really like this project. “Hiddi Hiddi,” the video, showed up on some rock blogs saying “look at this trippy video.” It’s kind of cool how it’s hitting different age groups and sectors in its own way. So we’re just really staying open to it and inviting everybody to the party in a sense. KCG: What do you want kids to get out of this? Shelley: One of my big intentions for this project, and what really fuels me forward is that I just really want to give kids that break in their day,and that experience in their childhood where they could sort of befriend a creative person and place where they feel safe and excited and creatively stimulated and interested. For me, it happened with the Wizard of Oz when I was about four. It was such a relief to me. I think it can be very demanding to be a little kid — in a busy household with lots going on. So my intention was to create a really beautiful part of a child’s day or childhood, and I think for some kids it could bring them a lot of relief, if they are in a challenging situation. So, I just wanted to bring a sort of peace and happiness. KCG: Were you a musician before, Shelley? Shelley: It’s funny, I’m sort of an Alt-Country musician and I sort of had a jazzy-bluesy thing going on with my own singer-songwriting project here in New York. I was playing the clubs, etc, and so my voice, in doing this album, is very different than what I sound like when I’m singing my adult music. I had been doing [a lot of things] for a while — I was doing political cartoons, I was playing adult music in rock clubs, I was doing children’s music here and there and some voice over work. When I got together with Allen, producing, he just really encouraged me to focus on just one thing. Boy, has it really really paid off. I stopped gigging in New York and everything became about developing Elska. So it’s been a delight to just go [deep into] one thing. KCG: Now that Middle of Nowhere has been released, what are the next steps for Elska? Shelley: We have been really just focusing on the release of Middle of Nowhereand now the videos. With all of this now in motion, we’re focusing our attention back onto writing. 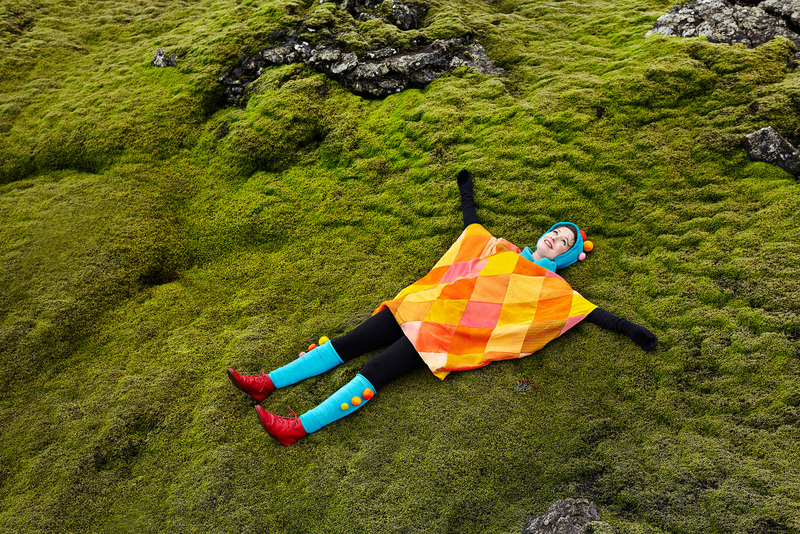 We got an artist’s residency in Iceland. So we’re returning to Iceland to write the next record and various Elska materials there. It was really important to us to find time to get away from New York to do it, because it just seems that when you’re sitting in your apartment or studio there’s always something to do; another email, CD’s to ship, phone calls and so we really just wanted to get ourselves in the writing mode and take this retreat. We do write in New York, as well, but we love [Iceland] so much that it’s kind of becoming a second creative home for us. We just kind of want to go back and give ourselves the mental space that it allows. Allen: This opportunity for this residency fell in our laps, as well. 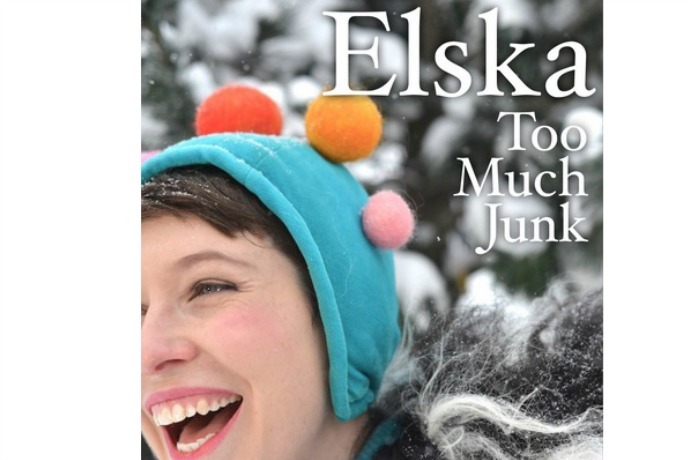 It was funny how it came up: the people saw Elska and just loved it. They offered us up this residency and so you just have to say yes to things like that. KCG: Going back to the sound of Elska. Did you try other sounds or other types of music to pair up with the vocals? How did you narrow down to an electronic sound? Allen: That’s a really good question. There came a point where we realized that there weren’t any guitars on this record and I came into a realization, as a producer, that it was really hard to make something sound truly otherworldly while still using the guitar. The guitar almost automatically locates music in Europe or North America; it’s the Blues, it’s Country, it’s Rock, it’s Folk, it’s Classical guitar, it’s Spanish, it’s Irish Folk, it’s all of these. It has so many associations, so to truly break away from that instrument and start using other sounds, helped the music become as wonderfully otherworldly and fictional and unto itself as we could get it. So I think that’s a big part of it. We had guitar on The Elska Express for a while and a bunch of other songs. I think half of the songs are probably written as guitar songs that we then translated into these other forms. Shelley: “Click Click” was a country song and it’s straight up electric dance music now. Allen: A lot of that was my influence of trying to bring the music into a really unique sphere. So, abandoning the guitar altogether was, at that point, how I was doing it. And for what it’s worth, I’m just now starting to work with guitars again as a producer. I feel like I need to come back to them and use them interestingly and creatively again. So, I think that’s a big part of that record, and it’s such a dividing line. If a record has guitars, it’s going to feel a certain way and if it doesn’t, it’s more open to a different kind of sound. But, there’s a lot of acoustic piano, there’s a lot of acoustic xylophone, there’s a lot of acoustic drums and some straight up electric bass. So, not everything is a programmed synthesizer or beat on there. There are a bunch of acoustic elements as well, so we did manage to marry acoustic and electric in a pretty unique way. But, we really tried to get away from the genres that we felt were trapping us a little bit in North America. When you create a place as weird as a newly formed arctic island that doesn’t actually exist, it puts a certain challenge in front of people like “Well, what’s the music from that place?” The sounds locate the music in different ways. It’s just an interesting thing to think that I have a globe in my hands when I select instruments, and I can locate things in different parts of the world. KCG: Bjork comes to mind with this kind of music. Do you think you could ultimately be compared to a Bjork for kids? Allen: Bjork and Sigur Ros, from Iceland, have been huge influences on me. And our friend Valgeir Sigurðsson, who mastered the record, has produced much of Bjork’s records. We very directly used the technique called “micro beats” which is something Valgeir invented with Bjork when they made the record called Vespertine. And we’re also very influenced by an Icelandic band that’s lesser known called Múm. They use micro beats in this interesting way. So, in a lot of ways, the micro beats that you’re hearing on “Arctic Fox” and “Man-Made Hole,” where we’re using all those little clicky sounds, those sounds really came from Bjork, Sigur-Ros and Múm; they all use them. It’s very Icelandic in origin. KCG: With regard to “Arctic Fox,” what did you use to create the sounds of the micro beats? Allen: The micro beats on “Arctic Fox” are made from kitchen utensils, cat toys and other household objects. We sampled those and then programmed them into the beats you hear on the song. KCG: Bjork’s voice reminds me a lot of your voice Shelley. It has this very sweet, soft tone to it. Shelley: Thank you for that compliment. She’s such an original, amazing artist. Allen: Probably part of that is the production technique there, which is that Elska never sings very loudly. We use a technique that is called “crooning” sometimes, but I call it “super hot microphone” technique. It’s where you set up the microphone so the singer can almost whisper, and then ends up with a sweet sound in their voice and a lot of intimacy. I know that’s something that Bjork has used over the years, too. And then live, Shelley wears a microphone so she can sing in that style, as well, so it translates better. But, I think they’re very fair comparisons that you’re making there, very spot on. KCG: The technique you use is very inviting. My daughter is intrigued when she hears Elska and watches her in the videos. Shelley: We really wanted this project to be concave so that it’s inviting people into this project, instead of coming out of the screen with all these fast edits, big voices and loud, crazy noises for kids. We wanted this to really be a project with stillness and invitation and warmth. KCG: How are you guys going to translate this on stage? Shelley: Right now I have a vibraphone player and then I have another musician who’s playing these really great analog synthesizers, called “pocket pianos,” and a Moog Bass and a drum machine. And then I’m acting, singing, using props and introducing the characters during the performance. It’s very much a blend of storytelling, theater and music. Allen: The live show is quite different from the record, and it’s a really beautiful and unique experience in and of itself, especially with a live vibraphone and the way they’ve worked out the tunes for the live performance. KCG: Shelley, you get dressed up as Elska and wear the same thing throughout the show? Shelley: Oh absolutely. I come out on stage and just start with “I’ve come from the Island of Elska.” The kids are only seeing Elska and learning about the island. Allen: The kids are mesmerized. It’s fun to watch the kids tune in. KCG: Shelley, do you play any instruments or are you singing the whole time? Shelley: I play a xylophone during “Winter Bear,” but other than that, I’m singing and dancing and playing with props. KCG: Do you have actual puppets or stuffed creatures? Shelley: Right now there’s these giant cut-outs that we had printed. So when I say “Have you met my friend The Goobler?” I go and get this beautiful cut-out of The Goobler and I say, “Let me show you a picture of him” and I talk it out and then we sing the song. So I just have some really vivid props. Shelley: I’m very protective of him during that song. Wait til you see the video! KCG. Now that you are in the kindie scene, have you gotten to know and listen to other artists in the same genre? Shelley: Absolutely! We were invited to perform at Kindiefest which was AWESOME! It was TOTALLY AWESOME! We got to meet everybody, who was there at least. I have just really been enjoying the friendships that we’ve made and checking out everybody’s projects and videos as they come out. There’s so many incredible artists and it’s just been so much fun. KCG: This album feels like an introductory album, almost like Stage 1 of what’s to come. Allen: Very much so. When you are presented with these characters you don’t really know what they are going to do, but you can talk about them, you can play with characters, you can imagine what they do, and we’ve left it wide open for ourselves, as well, in order to keep creating stories and albums. The videos are turning out to be incredibly fun, creatively rewarding and beautiful, so we see so many different avenues that Elska can go down, but we definitely see it as a musical project with a lot of records coming down the road eventually. We’re gonna dig in and write the next record or two, depending on what happens here, and start working on that in 2013, in earnest. But, we’ll start writing it this Fall in Iceland. It feels very wide open and we can do so many things like finding new partnerships and collaborators and just building it and building it. KCG: Do you guys collaboratively write? Shelley: It goes both ways and then when we’re done with it there’s so many footprints from both of us. In the example of me writing “Arctic Fox,” I think I wrote it on a xylophone and just sang it out loud and brought it to Allen. Then he comes in and there’s the micro beats and they all create the sounds. Allen wrote “I Just Had an Idea” and then we get into the studio and I’m working on the lyrics and we’re both creating the sound of it and all the sparkles that go through it. Or, with “Click Click,” I can write the verse, and it was a country song and then Allen wrote the chorus, and it became a pop song. So, we really cross over constantly in our writing. Allen: It’s a really good co-writing collaboration and we share the writing credit on the whole album 50/50. Songwriting is such an interesting craft. It involves lyrics, it involves melody, it involves harmony and chord changes, and Shelley and I bring different sensibilities to each of those aspects, and they just show up in different ways on different songs. I don’t think either of us could have written any of those songs alone. KCG: Do each of you have a favorite? KCG: Yeah! My daughter picked up on the arrows and was very interested in what Elska was doing with them. So, I can personally say it reaches younger kids because she is really into the adventure. Allen: The song I keep coming back to as a favorite is “The Elska Express.” That vocal that Shelley gives on that song kills me every time. I just love it. I don’t think I’ve ever felt so much true wonder and beauty in a track. I just love the way that feels to listen to. And, there’s barely anything to that song, and I just think it really works. I think that may be my favorite in the end. It’s that vocal that gets me. KCG: Are there any challenges to being Elska? Shelley: I always need to be on high alert that I am being as authentic as possible. I don’t want to end up being a Barney, you know, I don’t want to go too broad. I want to make sure that I really mean what I’m saying and I think that there’s a real danger with being a costumed character that you’re going to alienate folks. But, I have to be honest, I haven’t alienated a young audience member. So, parents might be wary of a costumed character, but after the first song they tend to say “Boy, this is real. This isn’t condescending. This isn’t for babies.” My real concern and focus is that I have to really make this as wonderous and wonderful and honest as Christopher Robin walking through the woods with Winnie the Pooh. There isn’t any talking down to children, and I think that’s very challenging and something I have to always patrol. KCG: And with kids, parents are watching too. Shelley: Yeah, that’s a lot of pressure. After a private show I did, I was just swarmed by kids and they really thought I was real. They just said, “Are you going to go home to be with The Goobler? What are you gonna do when you go home with The Goobler?” And I’m saying “Oh you know, I’m gonna go home and tell him about New York City.” It’s just real to them. That brings a lot of responsibility on my end, and that’s where you have to be really, really careful with that. I really, really want this to be real for them, because it opens up that imagination. I mean, they had a ball and they had a new friend, as a result. So I’m really committed to making this really from the heart as much as I can.